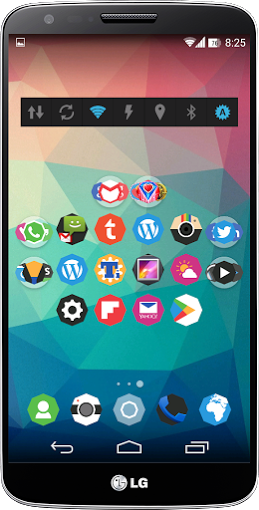 Hello Folks, Hope you all are enjoying our series of posts on 10 best icon packs/themes for Android launchers. 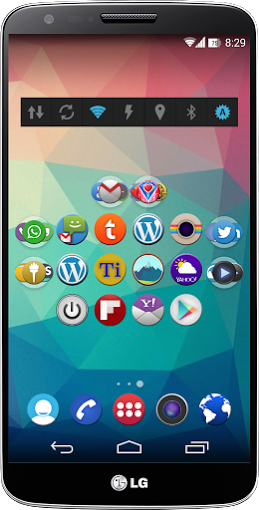 Here are the 10 best icon packs of my choice for March 2014 in no specific order. The majority of these icon packs and themes usually work with all the launchers listed below. Quadro icon theme by +AndreaCorvi features over 1200 bright square-ish icons with subtle rounded corners and unique texture. It also includes alternative icons for system apps, 100 + wallpapers, 16 custom docks for Nova launcher, Icon Masking for yet-to-be-themed apps and an advanced dashboard with search option. You can read our detailed review on Quadro Icon Pack here. For a limited time you can get the theme for just $1.35 instead of regular price. 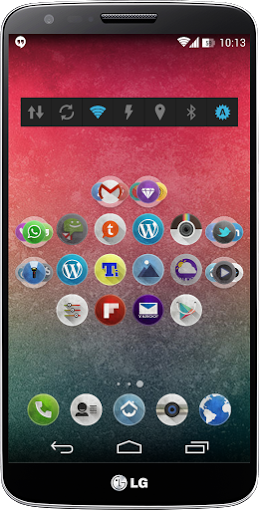 the1Lucent Icon theme by +The1dynasty works with majority of third party launchers. It includes 450+ well crafted HD icons with bright glowing colors and brings a really unique and fresh look to your Android device. It also comes with several HD wallpapers specially designed to match the icons and a dashboard app. You may found Some of the apps not yet themed, but developer is responsive and you can submit request for more icons. 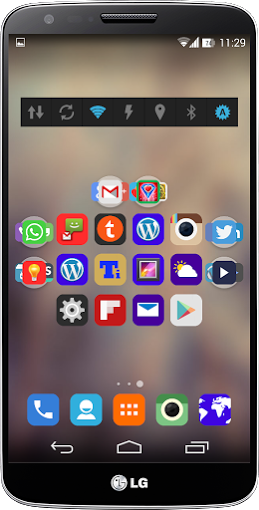 Flatee theme by +SamerZayer for Apex,Nova, and ADW launchers features 840+ nicely designed rounded colorful HD icons with flat look. A new font, 10 matching HD wallpapers, custom dock, and a dashboard app. Developer says more icons will come soon and promises weekly updates. Cinque icon pack by Bottle Capp is my current favorite daily driver. It features over 1000 sleek and HD icons in inverted pentagon shape. 12 matching HD wallpapers, dashboard app, icon masking feature are also included in this icon pack. 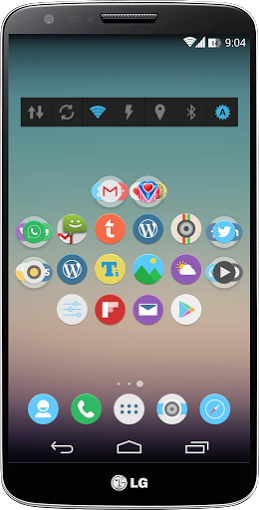 If you are bored with icon packs featuring icons in rounded and squarish shape, you must try Cinque icons. 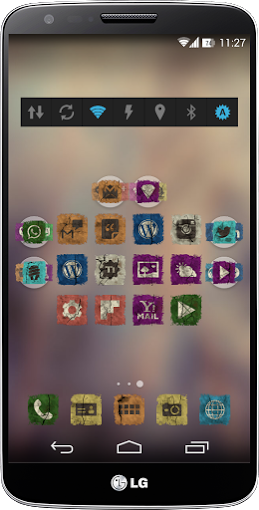 As the name indicates Ruggy icon pack by +GauravSeth features over 1840 rugged icons with grunge effect including extreme details like dust and cracks. It also comes with a full fledged dashboard app to apply theme, 40 cloud based matching HD wallpapers and Icon masking feature through multiple icon backs and icon up-on effects. 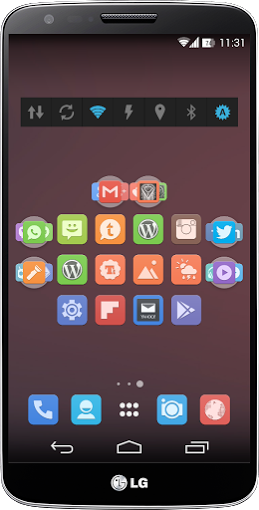 Developer also made a free matching ruggy clock widget for Zooper Widget Pro. You can get it here. Trim icon theme by +SonnySekhon for Apex,Nova,and other major third party launchers is a minimal theme featuring more than 1000 HD flat icons that resembles the Apple’s iOS7 UI. It also includes alternative icons for system apps and 8 matching HD wallpaper. For a limited time you can get the Trim icon theme for $1.49 instead of regular price. Senso flat icon pack by +Victor Rodriguez (VRDesign) features over 850 squarish, flat styled HD icons with rounded corners. 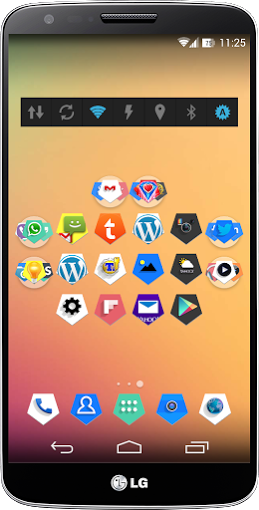 13 matching wallpapers, categorized icon picker for nova launcher, dashboard app to apply theme and wallpaper, and to request for more icons also comes bundled with this icon pack. 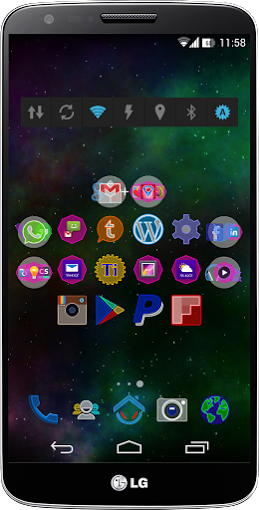 Retro UI theme by Innpixel Designs for Go,Apex, and Nova launchers contains 900+ colorful,rounded HD icons with flat and retro look. The icons looks great on devices with HD disply and have a shadow towards the bottom right corner. It also includes 12 matching HD wallpapers, alternate icons for system apps. and a theme dashboard app. Oakland icon pack by @CrossoverDoc features 570+ nicely designed rounded HD icons with soft gradients and delicate shadows bringing a fresh look to the home screen on your Android device. It also comes with 4 custom made matching HD wallpapers,Icon masking functionality for yet-to-be-themed apps, and a dashboard app to apply theme and wallpaper. 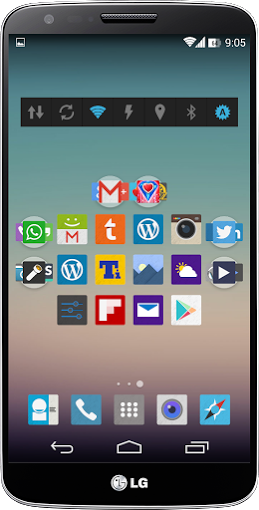 Octa UI by +Habib Duman works with majority of third party launchers. It features around 1000 sleek and flat HD icons with unique octagon shape. The icons brings a unified look as the color palette used to create icons only includes 8 colors. It also includes 6 matching HD wallpapers, Alternative icons for system apps, Icon masking support, and a dashboard app with built-in icon requester. As always, hit the comments section below, and let us know about your favorite icon pack. Here are the links to all featured posts on icon packs for Apex, Nova, Go and other launchers. 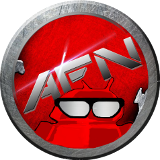 This entry was posted in Featured, News, Tips & Tricks and tagged android, apex, icons, nova. Bookmark the permalink.